Gearbox Software said back in January of 2015 that it was getting all of the pieces in place (i.e., recruiting talent) to begin work on the next Borderlands game. During a recent panel at PAX East in Boston, Gearbox chief Randy Pitchford shared additional details about the game that are sure to be of interest to fans of the series. Here’s what we know at this hour. Battleborn art director Scott Kester, who was also the art director for Borderlands 2, is once again getting the nod. Another Borderlands veteran, Mikey Neumann, will be writing the new game. Neumann is responsible for penning the Brothers in Arms series as well as the very first Borderlands title. 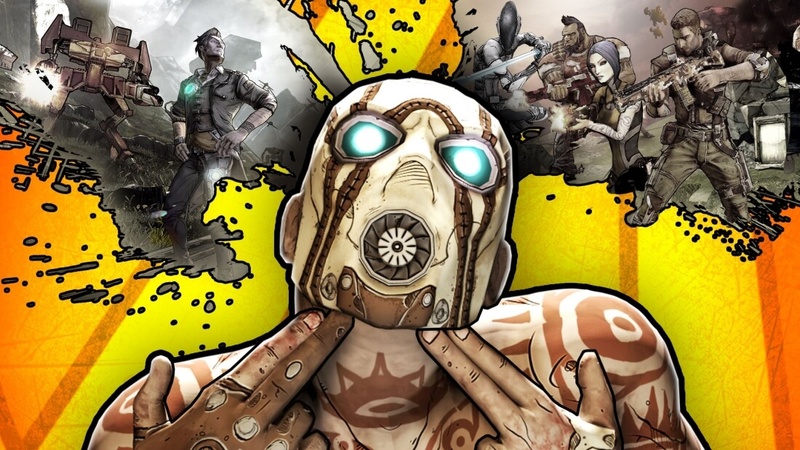 Scooter, a character from the spin-off Tales from the Borderlands, may also be referenced in the new game – perhaps as Scooper, his son. It’s not a guarantee, Pitchford, said, so don’t get your hopes up if the new character doesn’t make the cut. To illustrate how early it is in the process, Pitchford said they don’t even know if the game will be called Borderlands 3, teasing that they could just as easily go with Borderlands 4. In the meantime, Pitchford said they plan to squeeze some subtle Borderlands Easter eggs into Battleborn’s upcoming DLC. Borderlands debuted in 2009 with a sequel arriving a few later. Borderlands 2 went on to become 2K Games’ best-selling title of all-time, having sold more than 12 million copies as of March 2015. The latest entry in the main series, Borderlands: The Pre-Sequel, arrived in October of 2014.